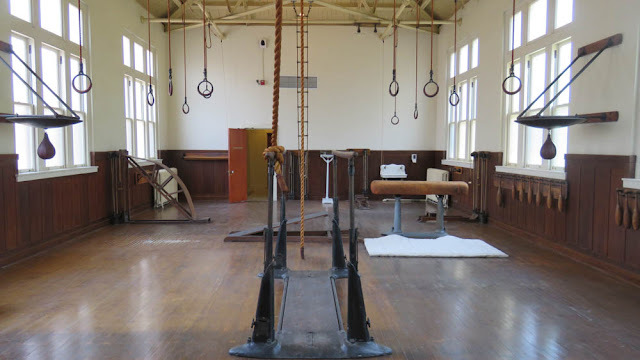 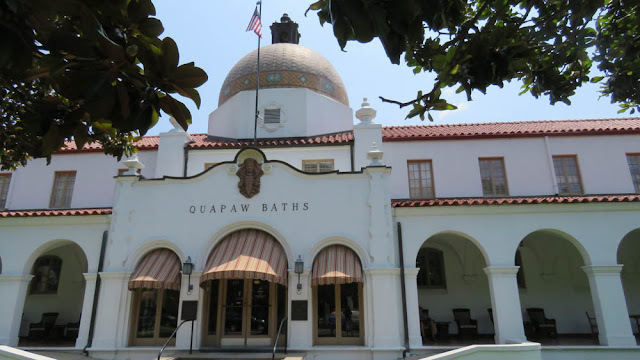 This national park is full of history dating back to the days when it was a retreat for the rich and famous who came here to bath in mineral rich springs and spas that are located in the area called Bathhouse Row. 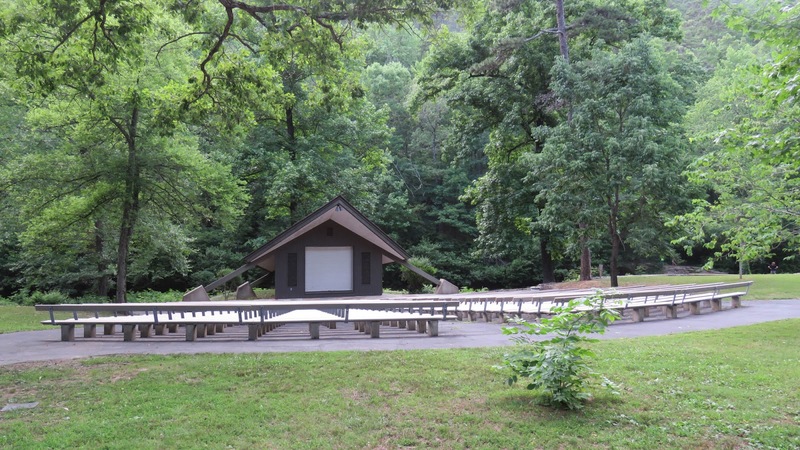 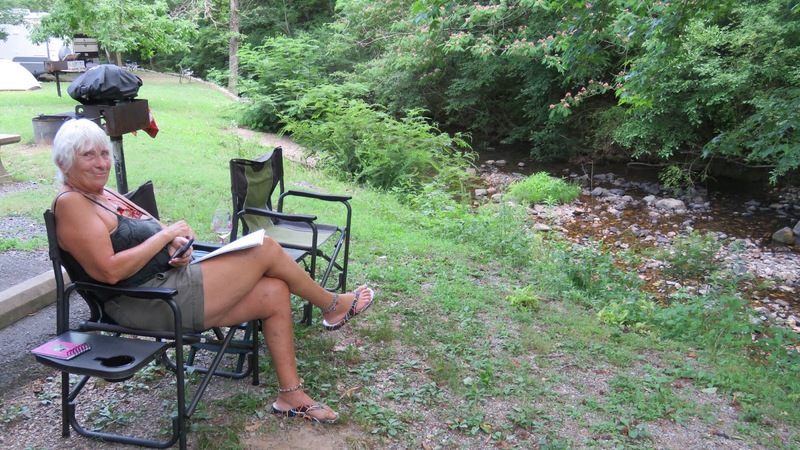 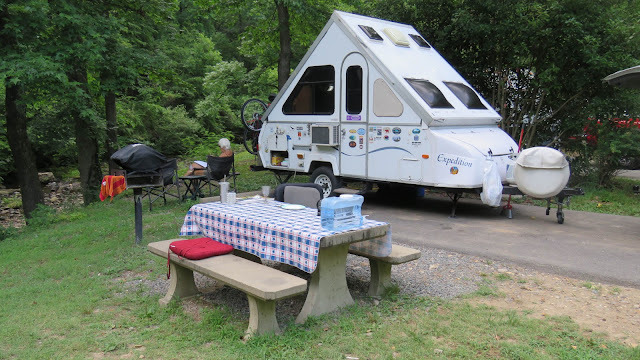 During our visit in the park we stayed at the national parks Gulpha Gorge Campground. The campground is well maintained with nice bathrooms. 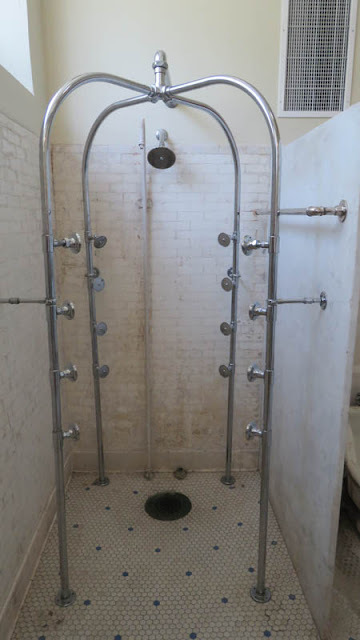 The only downside is there is no showers. The sites at Gulpha Gorge our first come first serve sites. We were lucky enough to get a shaded site by the stream that flows through the campground. Hot Springs Mountain is a short drive away from Gulpha Gorge. 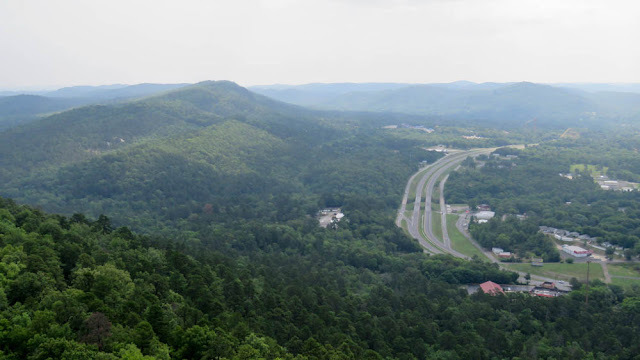 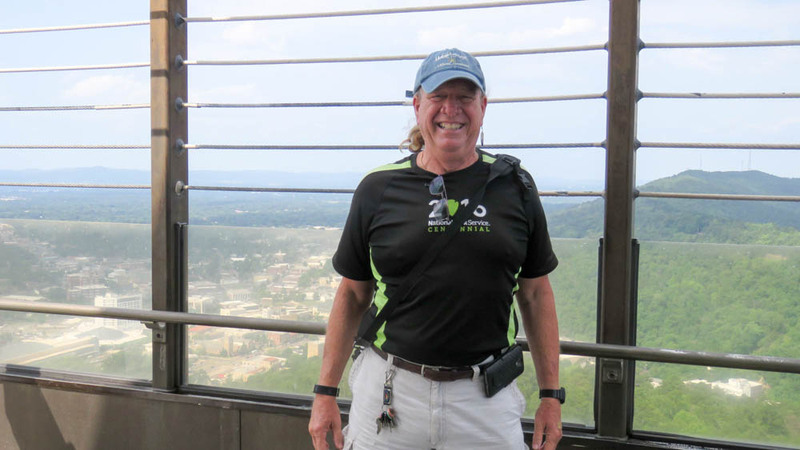 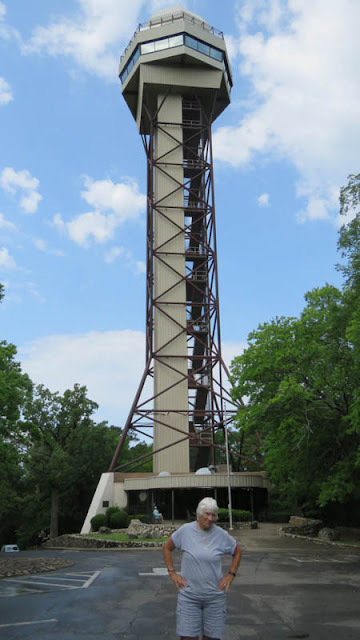 The drive up to the top is rewarding with views of surrounding area which can be seen from the top of the Mountain Tower. 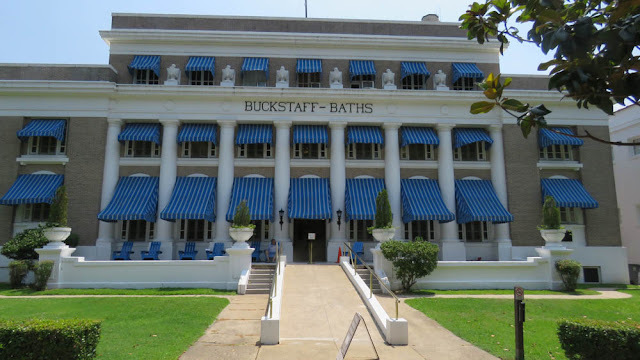 Hot Springs Row is where all the historic bathhouses are located in the park. 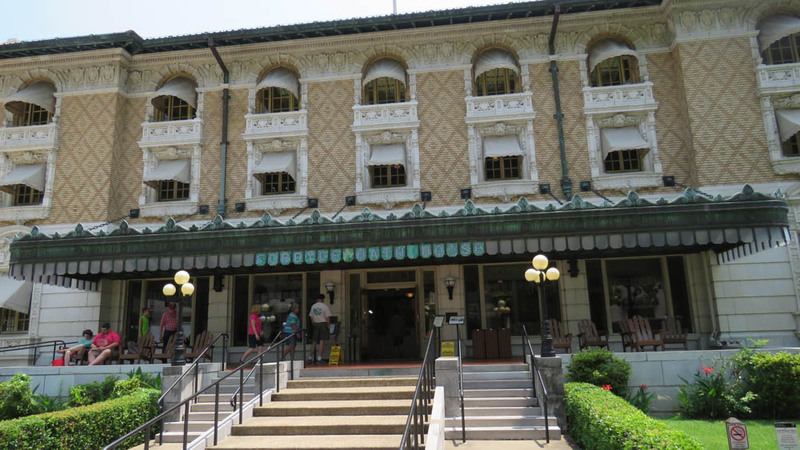 Many of them have been restored and provide an interesting glimpse of this area that is full of history. 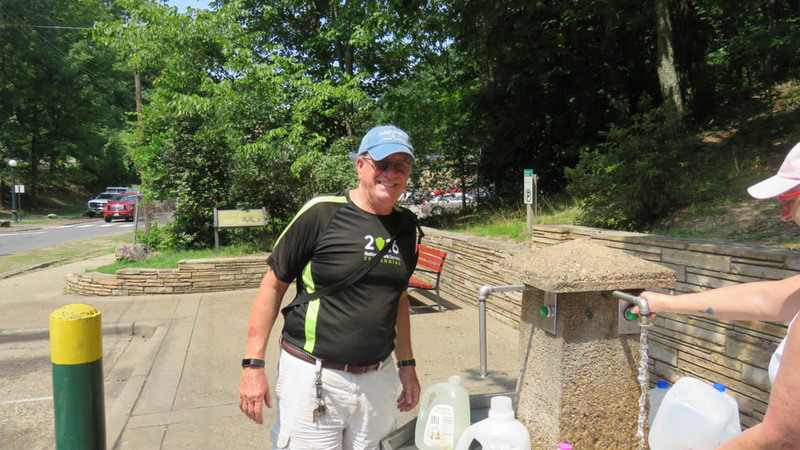 Over the years many people of traveled to this area to drink and experience the healing powers of the spring water that comes from deep underground. 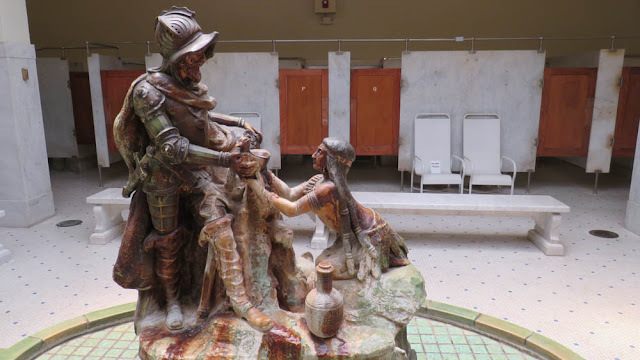 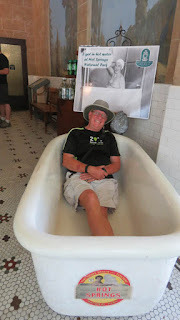 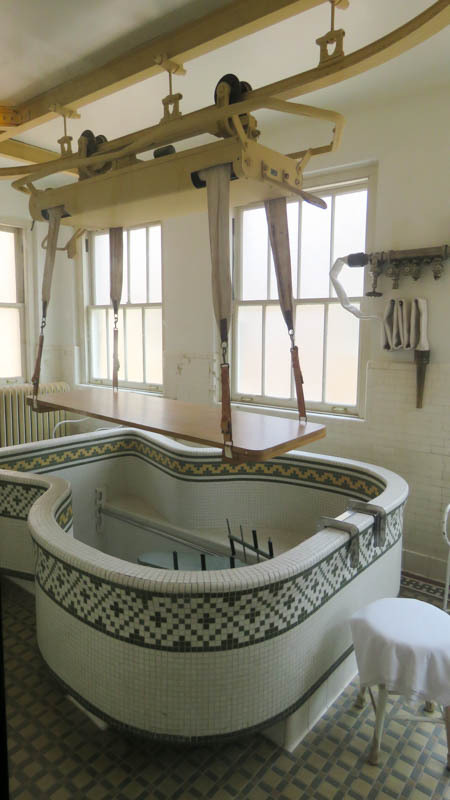 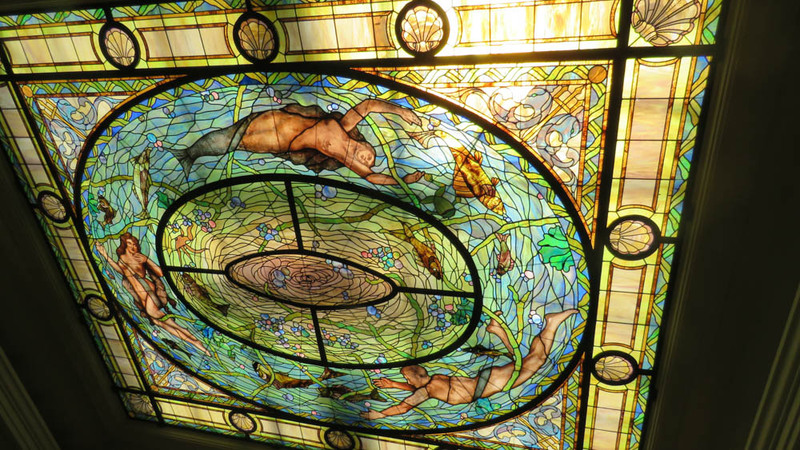 The Fordyce Bathhouse is where you can find the visitors center and Museum. So many interesting details are preserved there of a time long ago when visitors would come to seek the healing powers of this special place. 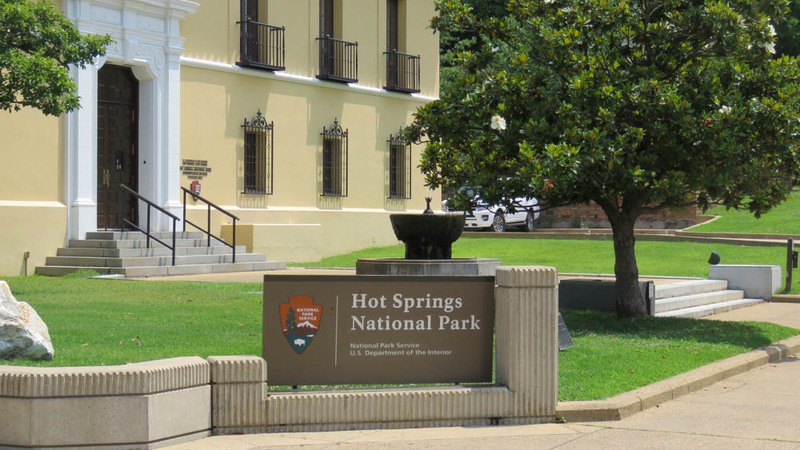 Hot Springs National Park is a special place where history is preserved and the natural beauty of this area protected for future generations. 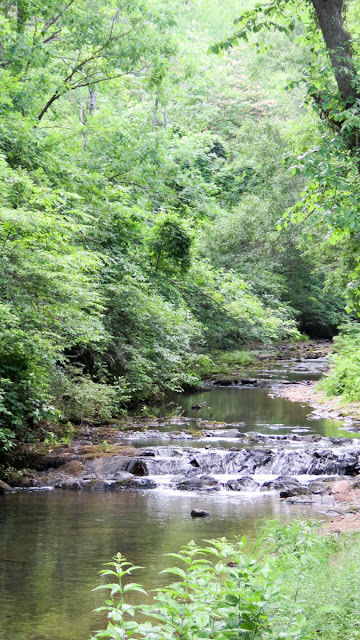 The park is a great place to relax. 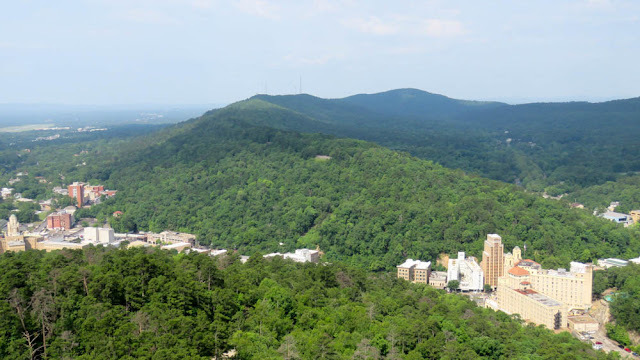 When in the area there are several places where you can buy crystals that are mined in this area. The land around Hot Springs, AK is rich in precious crystals and gems We stopped just outside the campground at Ron Coleman's rock & gem store. 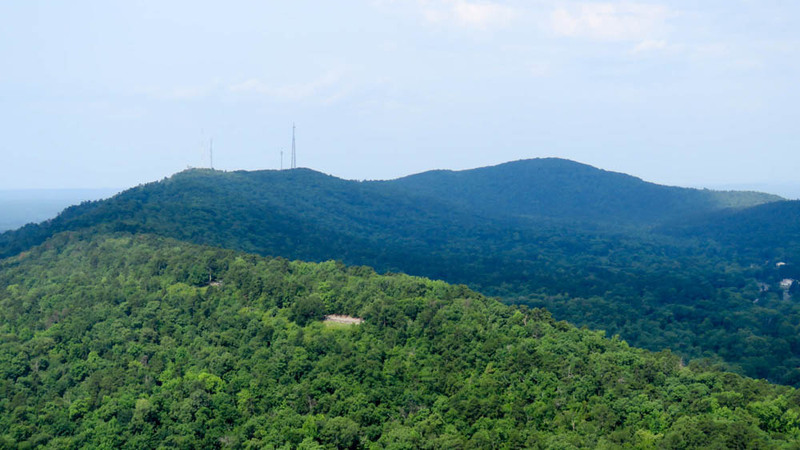 The Ron Coleman Mine is located seven miles from the Gulpha Gorge. 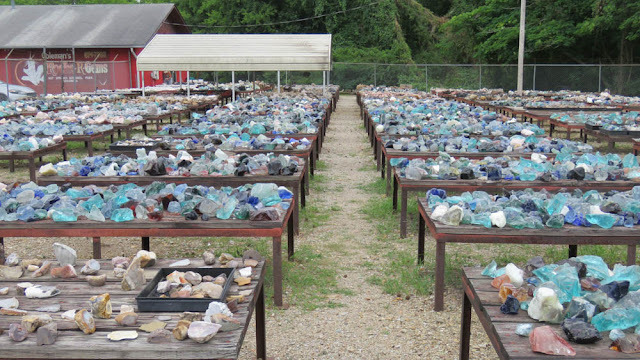 Although we did not visit the mine you can actually dig for crystals there.